Many of our members will be glad to help you locate a lost item. Many of our members have 20 + years experience and the latest equipment to make an educated hunt for lost items. If you have a need for help please let us know, we have members who live in the Dayton, Springfield, Cincinnati and surrounding area. Just fill out our "Contact Us Form" on this page. How much does your club charge? Lost jewelry, keys or something similar? We have no interest in making a profit off of your loss! 1. If you have the ability to connect us with historic property for metal detecting later on we will I come and search for your lost item at no charge. The larger and more historic the property, the further we will go to help! 2. If you don’t have any tips for historic permissions, we may still be able to get ODA volunteers to help you find your item. 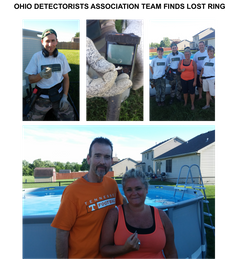 If we find the item for you we gladly accept a very small donation to our Ohio Detectorists Association although not required for our help. Again, were not trying to make a profit. How far will you go to help? The larger and more historic the property you can connect us with, the further we go to help! If you cannot provide any access to a historic property, We must limit our range to the Dayton Cincinnati area, we have ODA members who live within these areas. Do you sell or rent metal detectors? 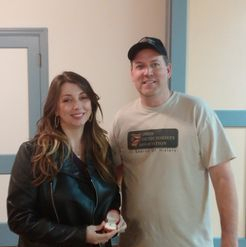 Our Club president of "The Ohio Detectorist Association", Jeff Filaseta, was contacted by a gentleman requesting assistance in finding his daughters ring that was lost two weeks ago in their backyard. He contacted Gary Fishman, Haven & Evan Fletcher to help with the search. 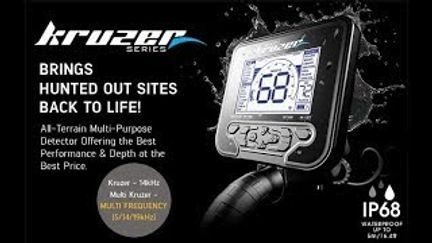 The more people with metal detectors, the better chance of success! We met at the location to start the search all at once. We spent a little time talking to the couple about how the ring was lost and where everyone was when she noticed it had slipped off her finger. The girl was hitting a beach ball to her mom from the pool when it slipped off her finger. This ring had a lot of sentimental value because it was given to her by her boyfriend when they had just started dating. Now the couple is engaged to be married! We hadn't been searching 20 min. when we hear Gary say "I think I got it"! He was in an opposite direction from where we were searching. We all walked over to see if it was the ring described to us and "bingo" it was!! We all sat there taking pictures of him with the ring! The owner noticed us all huddled together and came out to see if we had found it! Gary opened up his hand and said "would this be the ring?" She was so excited to see it! She couldn't wait to let her daughter know that we found it. We felt so good to be able to find a very sentimental piece of jewelry in such a short time searching! ODA MEMBER FINDS & RETURNS FAMILY HEIRLOOM! ODA member Scott Michelich had an opportunity to recover a family heirloom of a co-worker. His co-worker’s stepson Matt, had inherited a sterling silver St Christopher necklace from his Grandfather who wore it his whole life, including the Korean war and the Vietnam war (he received 2 Purple Hearts, one in each war). Matt’s Grandfather passed away last April. In August, Matt attended a church festival in Fairfield where he noticed at one point the necklace he was wearing no longer had the medal on it. He thought he lost it out in a big field as he had spent some time out there with friends the afternoon he noticed it missing. As Scott's co-worker was explaining this to him one day recently, Scott told him that he was a metal detectorist and would be willing to search for the St Christopher medal. His co-worker hesitated then stated that almost 6 months had passed, the field was large and the chances of finding such a small thing would be impossible. “Challenge on!” Scott set up a Saturday meeting at the church, walked out into the field (it was big!) and had Matt explain to him where and how he thought he lost it. Matt stated that he was wrestling with a friend and thought he may have lost it then. Scott staked out the likely place in the field to search. It was about a ¼ acre in size. Scott knew that a sterling silver medal of that size would ring up as dime/quarter on my XP Deus. I also knew that it would most likely be no deeper than an inch, so I was hunting for a VDI of 91 to 94 (18 K hertz) and should also hear a “double beep” passing over it. Scott used a special program that he created on his metal detector as the field was quite trashy. After 4 hours of searching, Scott had finally found the target! 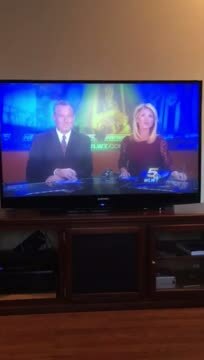 Matt was hysterical with excitement! Neither he nor his Stepfather could believe the medal was recovered. Scott was happy (and relieved) to have been able to find the medal for them. ODA member Ed Baker Donates Historical Finds back to the community! 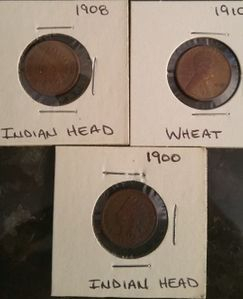 ODA member, Ed Baker found some old coins under the cornerstone of the Trenton School that was being torn down. Ed decided to donate the coins to the Trenton Historical Society so that the entire community could enjoy this small piece of school history. 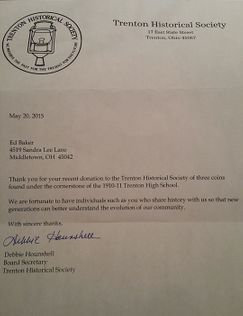 Shown below is a letter from the Trenton Historical Society as well as pictures of the coins. ODA MEMBER RETURNS LOST CLASS RING! 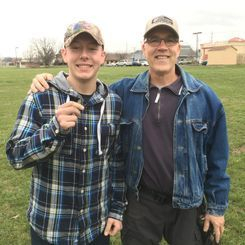 Keith Church and Jeff Filaseta members of the Ohio Detectorists Association (ODA) found and returned a gold class ring after it had been lost 53 years ago. 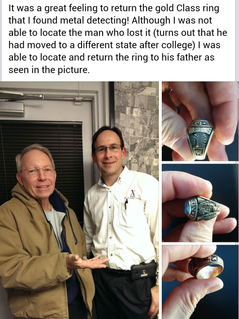 Keith Church found the ring metal detecting at a local farm. Jeff Filaseta, President of the Ohio Detectorists Association (ODA) researched and tracked down the owner Steve Culbertson who was a 1964 graduate of Springboro Ohio. Keith was able to give the ring back to Steve on his 69th birthday. ODA MEMBER DONATES FOUND HISTORICAL COLLECTION! ODA member Chris Rhoden presented the Bethel Historical Society with a collection of historic deeds, paperwork, pictures and family histories. Many of them dating back to the 1810s and describe early settlement of that area with handwritten accounts by early pioneers. Chris and ODA Vice President Gary Fishman met with the president of the Bethel Historical Society as well as 10 or so board members, one of whom, 88 year old John Brown was descended of original settlers of Bethel. He was amazed to read a handwritten account of early pioneers penned by his grandfather J.S Brown's hand in the 1870s describing his grandfather and his coming to that area in 1797 and purchasing 1500 acres of land. He couldn't believed the direct family connection and said several times with amazement that the artifacts we gave were not just names on paper but "our families and our lives". They described the collection as a "treasure trove" of archives and a very important contribution to documenting early settlement.